Marble is an undeniably beautiful material that instantly creates a sense of elegance and grandeur in a room. 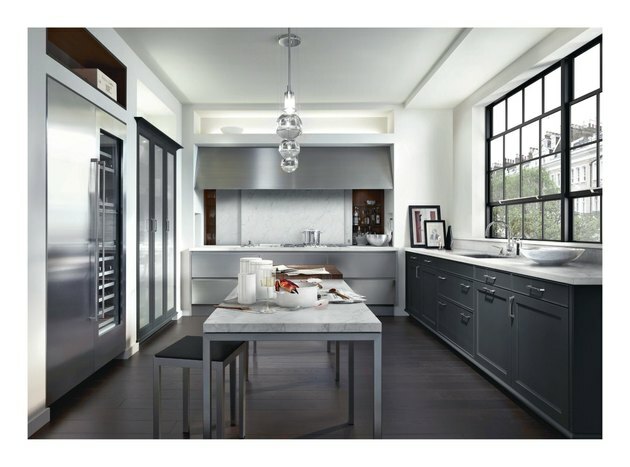 It's hardly surprising that from time immemorial the world's greatest sculptors and architects have chosen to work in the medium, or that it's a favorite among today's designers in fashioning countertops (and more) for swanky kitchens and bathrooms. Unfortunately beauty has its price, both literally and figuratively: this coveted stone can cost a pretty penny, and maintaining marble surfaces can take some doing. On the other hand, those marble countertops might just make your room look mind-blowingly magnificent enough to be worth the effort. Not to worry — we've sorted out all of the pros and cons of marble countertops to help you make a decision. Pro: Marble countertops are amazingly gorgeous. We know it's glaringly obvious, but there it is. There's no way around it, marble is the Cindy-Crawford-in-the-nineties supermodel of countertop materials. Marble countertops make a bold statement in any room, adding an almost otherworldly aura of beauty that's capable of making jaws-drop. Con: Marble can be incredibly expensive. Luxury is never cheap, and marble is the epitome of luxury. There is some wiggle room here, however: since marble does exist in so many places and so many varieties, it's available in an incredibly wide range of qualities and prices. It is possible to shop around and find relatively affordable options for run-of-the-mill quality marble countertops, but the pristinely smooth stuff that sparkles and glistens like a Grecian temple in the sun can be prohibitively expensive. Pro: They’re made of materials naturally occurring all around the world. In spite of its VIP status, marble is actually a rather ubiquitous material. The naturally occurring stone can be found all over the globe, making it widely available in many varieties. The cool, smooth surfaces of your marble countertops are a sophisticated way to bring an element of nature into your home. Con: Marble is incredibly heavy. Seriously heavy. Like really, ridiculously heavy. If you were thinking of installing a marble countertop on your own, think again, because you could injure yourself, or damage the marble. But if your heart is absolutely set on DIY, when it comes to marble, we recommend that you opt for tiles, leaving the slabs to the professionals. Even in tile-form, you'll still need to calculate the marble's weight and ensure that your counter is sturdy enough to support it. Pro: If well-maintained, marble can increase property value. Whether recently renovated or just carefully cared for over the years, stone features that are in good condition can actually add to the value of your home. The grand impression alone that well-maintained marble countertops make on potential buyers can contribute significantly to a property's saleability. Realtors will capitalize on the air of opulence around your marble surfaces to upsell your listing (and potentially offset your countertops' high price tag). Con: Marble countertops stain easily. Pro: In the right conditions, they’re long-lasting. With gentle love and care (and okay, maybe a little vigilance), marble countertops can last for an extremely long time. Low-traffic conditions are ideal for extending marble's longevity, so think about what best fits your lifestyle. Have kids? Like hosting lots of parties? Consider getting your marble fix in the master bathroom and going with a lower-maintenance material for countertops in family filled kitchens or frequently used guest bathrooms. Con: Marble can be delicate. The same porosity that let Michelangelo perfectly sculpt David's washboard abs makes your marble countertops vulnerable to nicks, cracks, and scratches. As stones go, marble is one of the softer ones, and despite its formidable heft it is indeed breakable. 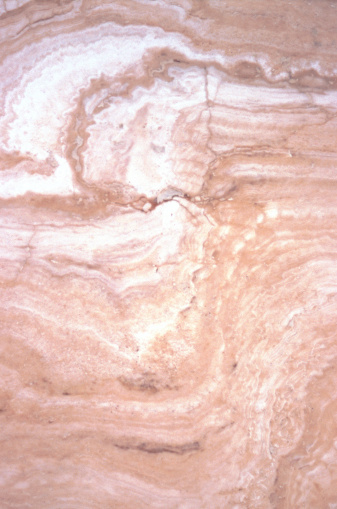 Dropping anything sharp and/or heavy on your marble countertops can cause the kind of damage that might make you cry. Pro: They are truly unique. Marble countertops are unique in the truest sense of the word: no two are the same. As a natural stone, the physical appearance of your marble countertop is entirely organic — no one designs these surfaces but Mother Nature, and she's given us plenty to work with. Though solid black and white are the most commonly chosen hues, choice of color for marble countertops spans the entire spectrum. Con: They degrade over time. Like any natural stone, marble breaks down over time, and if you're not conscientious about upkeep, you can end up expediting the process. With regular use, all marble countertops will eventually show signs of wear and tear, but you can minimize it by caring for your countertops the right way. Karyn is a passionate wordsmith and creative thinker, currently pursuing a career writing and editing in the media and entertainment industry.